Home > Misc > See All Products > See All Dog Products > Joint Support for Dogs > Kala Health Arthrix Plus Hyaluronic Acid for Dogs - 90 ct.
Arthrix Plus HA combines the proven benefits of MSM, Glucosamine, Chondroitin and Hyaluronic Acid. The addition of hyaluronic acid helps to cushion and lubricate joints. Arthrix Plus HA combines the proven benefits of MSM, Glucosamine, Chondroitin and Hyaluronic Acid (HA). The addition of hyaluronic acid helps to cushion and lubricate joints. Concentrated levels of glucosamine and MSM. Lubricate joints and improve mobility in dogs. Made in the USA with USA ingredients. Arthrix Plus Hyaluronic Acid for Dogs contains powerful and safe nutrients at high concentration known to improve joint mobility and reduce age-related joint pain. It has strong anti-inflammatory properties and will quickly alleviate the discomforts of chronic joint problems. Methylsulfonylmethane (MSM) - 500 mg.
MSM is a bioavailable sulfur that gives quick and lasting joint relief. The sulfur in MSM can be utilized by the body in the formation of compounds such as glucosamine and chondroitin sulfate, as well as the amino acids methionine and cysteine. Arthritic joints often have low levels of both sulfur and cysteine. Animal studies have found MSM helps to maintain normal articular cartilage. 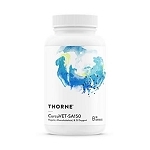 Glucosamine HCl (Vegetarian Regenasure brand glucosamine) - 500 mg.
Glucosamine helps to restore cartilage and improve joint functioning. Regenasure is a patented, vegetarian form of glucosamine made in the USA. Cetyl Myristoleate Complex (Bovine Source) - 200 mg.
CM Complex is an exclusive and patented blend of cetyl myristoleate (41%) and other esterified fatty acids (Cetyl Palmitate; Cetyl Laurate; Cetyl Palmitoleate; Cetyl Oleate). 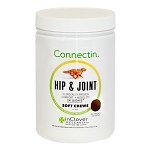 This revolutionary compound works to lubricate joints and helps to promote mobile joint function. CM Complex is a cutting-edge compound that promotes the relief of joint discomfort following exercise. Ascorbic Acid (Vitamin C from Ester-C) - 150 mg. This buffered vitamin C is four times stronger than ordinary vitamin C. Ester-C is gentle on the stomach and is a long-lasting form of vitamin C with proven benefits for joints. Chondroitin Sulfate (Bovine Source) - 125 mg.
Hyaluronic Acid - 25 mg.
Hyaluronic acid is naturally found in the joints where it acts as a lubricant between bones. 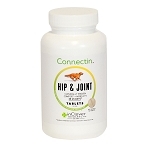 When the joints are lubricated, the bones are less likely to grind together, so it helps to prevent joint pain. Low sodium, trace minerals mix. Inactive ingredients: Dried Whey, Maltodextrin, Natural Flavorings, Powder Cellulose, Silicon Dioxide, Stearic Acid. Cautions: Safe use in pregnant animals or animals intended for breeding has not been proven. Consult your veterinarian before using this product in animals: with clotting disorders; being treated with anticoagulant medications; with diabetes or any metabolic disorder causing hyperglycemia; with a history of urinary tract stones. If lameness worsens, discontinue use and contact your veterinarian. Administer during or after the animal has eaten to reduce incidence of gastrointestinal upset.